WAREHOUSE SPECIAL AFFORDABLE! 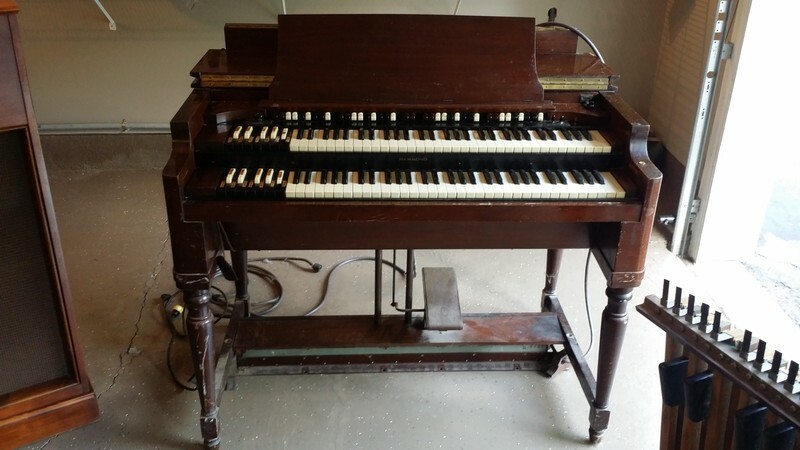 Vintage Hammond BC Organ & HR-40 Tone Cabinet - Will Be Sold In As Is Rough Condition - Plays Great Needs Some TLC Blow Out Price - 10/23/14 Now Sold! A Great Starter Vintage Hammond Organ That Is Affordable! Hammond BC & HR-40 Tone Cabinet. 3. Warranty - As Is! Now Sold! For $499.00! - A Great Buy!